Over the last couple of years shipping container homes have been growing in popularity; green and alternative builders from around the world have latched onto these unique containers as an easy way to build quick and somewhat custom homes. They’re often sliced, diced, stacked and sometimes converted into off-the-grid architectural masterpieces that make you forget they started out as shipping containers. A Shipping Container Home that actually looks like a Shipping Container! Shipping container homes are definitely cool, but once you slice them up and start modifying them for residential uses they stop being useful for their original purpose, shipping things! But one container home builder has taken the container home concept and combined it with the containers original purpose — the ability to easily ship them anywhere in the world. The reason I like this concept is because shipping containers are made to move; they are specifically designed to be able to go from freighter ships to trains and trucks, making them the ideal storage device for moving cargo around the world. They’re weatherproof, highly secure, tough as nails, and when made into a home can fit everything you need into one ready to go device that can not only transport your goods but your entire tiny home to anywhere in the world. I ran across the mobile shipping container home concept on the Living Big in a Tiny House blog, where they featured the shipping container home built by a boat builder who wanted a home that could be transported anywhere in the world. The concept is great for those who travel for long-term work assignments, or for those who just like to live a more mobile lifestyle, while still being able to have all the comforts of home. The builder Evans left the shipping container structurally intact, that way it could still be transported by sea, train, and truck. 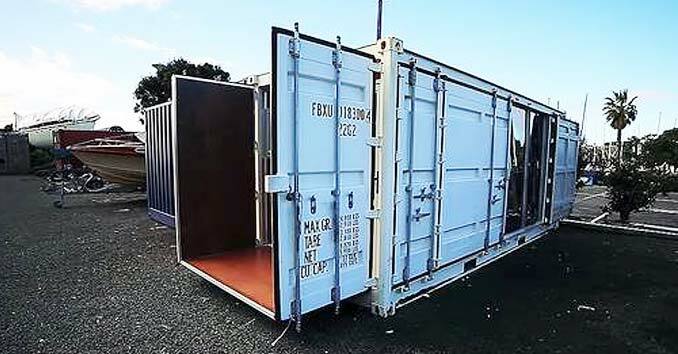 It’s made from a 20ft Shipping Container, the type that features a side door for shipping heavy equipment. When opened, it converts into one heck of a home. 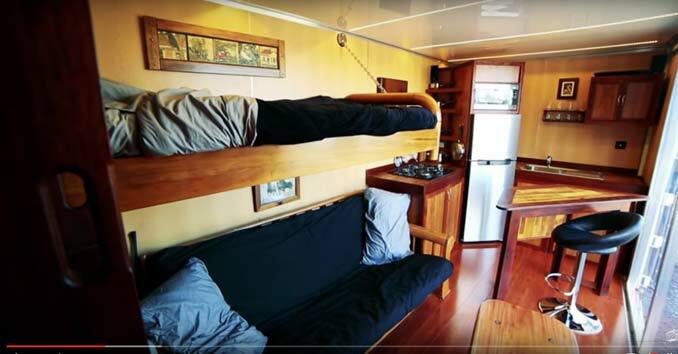 Evans took everything he learned from years of building luxury Yachts and used those techniques to build his one-of-a-kind truly mobile home. The home is designed to be powered both on and off the grid and has a 12V DC system similar to a typical RV. You can find this actual unit/fellow’s whole home story/tour on Yt by searching some keywords with Kirsten Dirkson’s video channel. It is a good watch. John, shipping containers are built to be stacked. They are not built to withstand the pressures that they will encounter by tons of dirt pushing against their sides. 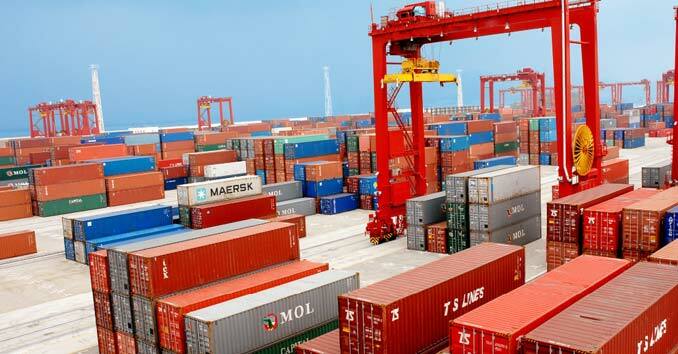 Anyone intending to bury shipping containers to use them as some sort of bunker / living quarters, or such, needs to do a little research into the engineering of such a project. Mainly the reinforcement of the structure. Where can I get one? And how do I find an architect who has done this? How much are thay my Hubbard and I are homeless he is a disabled vet and I take care of him so we have little money just want to know if we can afford one. Like the idea. What is the cost?